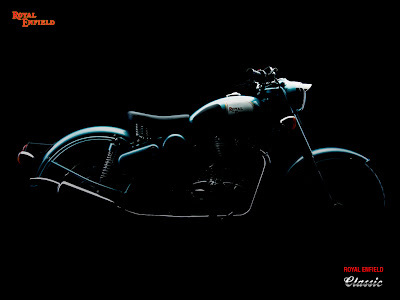 Royal Enfield finally launched the Thumper's dream - the Royal Enfield Bullet Classic. This is surely the bike, most of the Indian Thumper lovers were pining to get their hands on. At least a friend of mine is rolling on the floor and is all nuts with the release of the bike. No need to mention about the killer looks of the bike and specially when it's coming default as a single seater. Specially the Ocean Green color is quite electrifying. The bike comes with two Engine specs - Classic 500 Fi and Classic 350 Carburetted (both being UCE). Another thing of special note is that the Classic 350 is Twin-Spark!! Both the engine figures speak for themselves, but personally I think that the Classic 500 has the real punch, and if I would want to have a Royal Enfiled Bullet Classic, then the Classic 500 would be my choice! !